Honda ditches diesel in favour of a petrol-electric CR-V Hybrid - a wise decision? The Hybrid looks a lot like the regular Mk5 Honda CR-V, with the sculpted flanks, the distinctive rear light clusters, the dropped number-plate at the back and the 'wing face' front grille, with the only additions being three discreet 'Hybrid' badges in blue (two of them are on the front wings near the leading door shut lines, while the third is on the boot lid). Inside, the instrument cluster has its own bespoke displays and arrays to show how the Honda is using its onboard power reserves to propel itself down the road, while the automatic-only (we'll come back to this...) Hybrid has a different gear selection arrangement to the conventional combustion-engine models elsewhere in the range; instead of a lever, it uses a button pad set-up, rather like its distantly related NSX hybrid cousin. Bear in mind that the CR-V Hybrid cannot be specified as a seven-seat version, like the 1.5-litre model, and it also loses a bit of boot space (497 litres plays 561 litres) to accommodate some of its hybrid technology under the cargo bay floor. Honda calls its hybrid arrangement the Intelligent Multi-Mode Drive, or i-MMD for short. In the case of the CR-V, that means a 2.0-litre Atkinson cycle i-VTEC petrol engine (rated at 145hp/175Nm) is augmented by a lithium-ion battery, two electric motors (one acting as a generator and one for propulsion), an engine lock-up clutch and a single-speed reduction gear transmission. The Hybrid, like the regular 1.5-litre CR-V, can be front-wheel or all-wheel drive (we're testing the latter here), and the AWD system is exactly the same set-up that can be specified on the petrol-powered Honda SUV; it's worth noting that the front-wheel-drive Hybrid is a little cleaner (120g/km CO2 and 53.3mpg combined) and more accelerative (0-100km/h in 8.8 seconds) than the AWD model, although both variants have the same 180km/h top speed. So, i-MMD offers EV Drive, Hybrid Drive and Engine Drive. In the first two modes, the lock-up clutch - sited between the generator and propulsion electric motors - remains open and the 2.0-litre engine is therefore not providing any motive power to the wheels at all. In EV Drive, it is obviously switched off entirely as the CR-V moves around in zero-emissions near-silence (it broadcasts a quiet, eerie, sci-fi keening noise at very low speeds to let pedestrians know it is moving along), using the mere 1kWh capacity of the battery as its source of energy, but when the engine powers up in Hybrid Drive, it's still the electric propulsion motor turning the front wheels - the engine is only serving as an onboard generator to provide power for the, er, electric generator motor, which in turn drives the propulsion motor. Engine Drive sees the lock-up clutch closed and, finally, the engine is the unit driving the wheels. You only know when this is happening if you have selected the graphic in your instrument cluster that shows energy flow in the drivetrain; if a tiny white cog is visible in the middle of the display, then the petrol engine is driving the wheels. Honda says that the CR-V Hybrid will only really use Engine Drive to any significant degree during motorway work (power split recorded on a set test route provided by the car maker: 61 per cent Engine Drive, 23 per cent EV Drive and 16 per cent Hybrid Drive), while in urban areas (split: 82 per cent EV, 18 per cent Hybrid, 0 per cent Engine) and extra-urban driving (split: 49 per cent EV, 32 per cent Hybrid, 19 per cent Engine) the CR-V is being as clean and efficient as possible. Further to this clever three-mode drivetrain, Honda has added more sound-deadening to the Hybrid, compared to the 1.5-litre petrol CR-V, to maximise its quieter operation characteristics and it has also specifically mapped the responses of the reduction-gear transmission to make it feel more 'natural' to us Europeans - otherwise, like CR-V Hybrids for other parts of the world, it will provide CVT-like full-power noises and feelings, which we've never been fans of. But does all of this work? Well, yes. So much so that we think the Hybrid is now the best Mk5 CR-V you can buy. The drivetrain is silky smooth in operation, switching between its modes imperceptibly and providing really easy-going manners for city driving. With the quoted maximum outputs being those of the electric part of its running gear - namely, 184hp and 315Nm - it's brisk, too, darting around in stop-start town driving with real vim and having a deeply impressive midrange for overtaking. The latest CR-V is already winning plaudits for its ride and refinement and the Hybrid only builds on that, providing a hushed cruising environment and supple bump-cushioning abilities. It's not quite a perfect report card for the CR-V Hybrid, though. While it does raise the revs as it gets faster, the noise the reduction gear makes under full acceleration - European mapping or not - remains harsh, loud and grating, with that slight sensation of 'ghost clutch slip' (there's no clutch, after all...) that masks precisely how quickly the CR-V is piling on the pace. There's a touch more tyre roar booming around the rear of the cabin than we'd like at motorway speeds, too, while the EV Drive range is obviously limited by the size of the battery - it's officially quoted at a weedy two kilometres. Other flaws are not Hybrid-specific, but the CR-V's infotainment is already coming across as several years out of date (this is true of all Hondas) and the fake wood trim that the company is so proud of in other markets will simply not wash with most European buyers. Luckily, our test cars all had silver interior fillets of material, which are much nicer to behold. Full specifications and equipment details have yet to be released for the CR-V Hybrid in Ireland, but we do know it will cost from €38,000 including the government's VRT rebate. Across the board, Honda Ireland offers a good standard of kit on all CR-Vs and the Hybrid should be available in the same Lifestyle, Elegance and Executive upper trim grades as the regular CR-V, only dropping the base Comfort specification from its brochure. Fast, spacious, handsome and good on fuel, the Honda CR-V Hybrid is an excellent new addition to the Japanese manufacturer's line-up and proves that the decision to drop diesel for the SUV was a sound one. There are still a few refinement issues that keep the CR-V from a higher mark, but between this and a CVT-equipped 1.5-litre model, there's no competition - the torquier, smoother Hybrid is the one to pick. 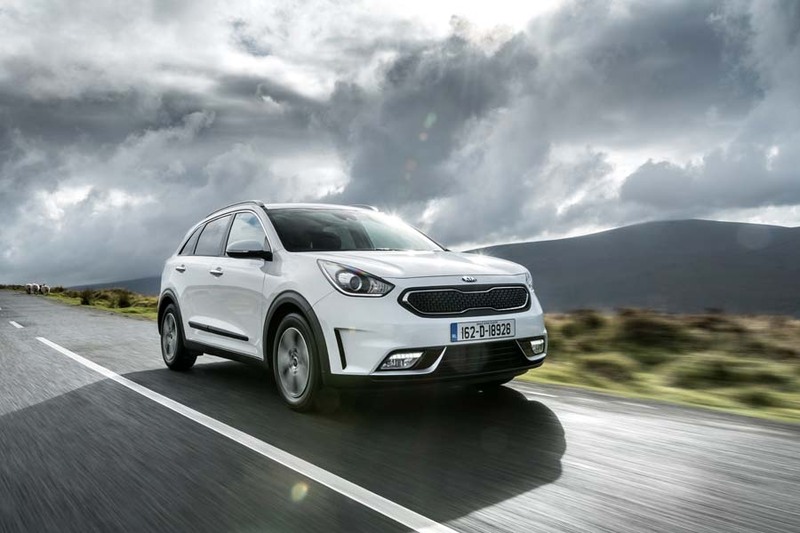 Kia Niro vs. Honda CR-V Hybrid (2019): smaller than the CR-V by some distance, Kia's Niro is nevertheless a perfectly acceptable, small hybrid crossover. A plug-in version is available, for those wanting more EV range. 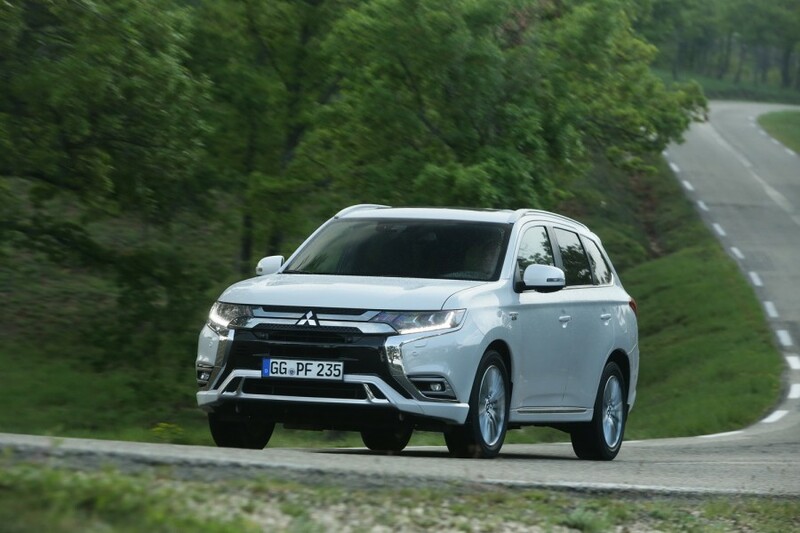 Mitsubishi Outlander PHEV vs. Honda CR-V Hybrid (2019): this is a plug-in hybrid, so it has a considerable edge on the CR-V in terms of its EV range, but the Outlander is somehow a less appealing thing than the Honda. 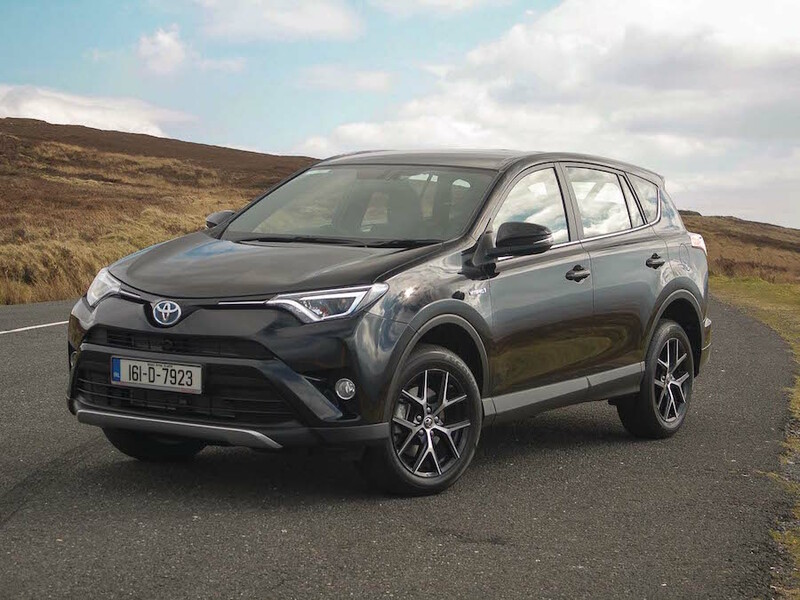 Toyota RAV4 Hybrid vs. Honda CR-V Hybrid (2019): coarser drivetrain, insipid handling manners and CVT all count against the old RAV4 Hybrid. Thankfully, an all-new RAV4 (hybrid included) is on the way, which we're expecting big things from.